Now that you have opened this article, your computer, laptop, tablet or Smartphone will autodestruct in 3, 2, 1… we are just kidding! These hidden gems are not very popular amongst tourists, and surprisingly even many locals don’t know about them, but if you want to have a blast while in Bangkok, then you need to visit them! Now, let’s begin this adventure! You probably know that Thailand is a deeply religious country that honors its traditions, and that is why it is an interesting aspect to explore. 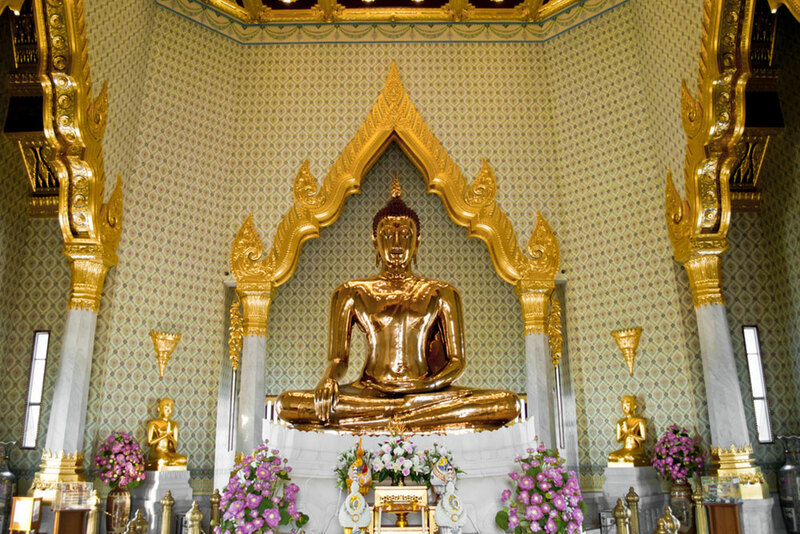 The Golden Buddha stands out from the rest due to the fact that it is the largest statue built from pure gold. It weighs 5 and a ½ tons and it stands at a staggering 3 meters tall. It is one of the most beautiful hidden gems of Thailand, a real treasure that you will only find in the Chinatown district. Its traditional name is Phra Phuttha Maha Suwan Patimakon and it is right outside of Wat Traimit Temple, which is also built with gold in the exterior. You can find it on Wat Traimit, Thanon Mittaphap Thai-China, Talat Noi, Samphanthawong, Bangkok. 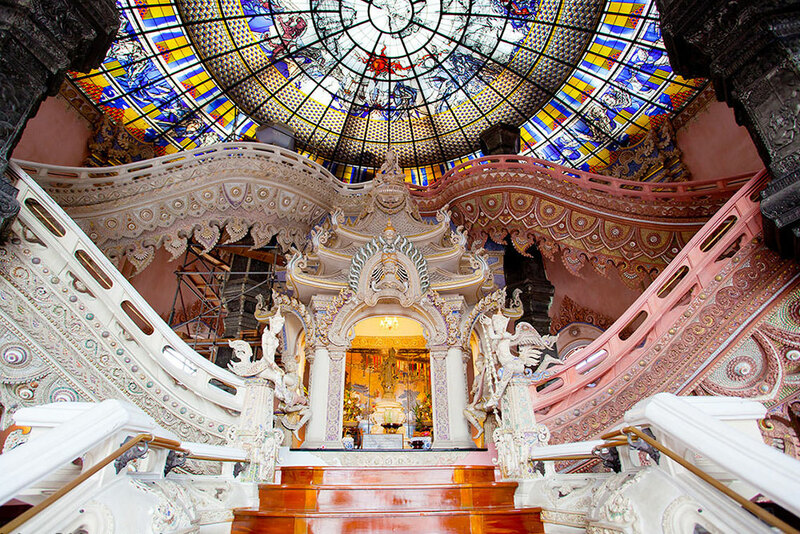 Bangkok is full of mind-blowing and special cultural experiences, and visiting the Erawan Museum is one of them. You will be welcome by a staggering and glorious three-headed elephant nestled atop of a majestic gargantuan pedestal… what a special way to say hello! The interiors of the Erawan Museum will send your mind in oblivion, because it will be one of the most beautiful and enriching experiences of your life. It is 29 meters high and it is adorned with pure green-hued copper, without any doubts, a very special, elegant and original ambient. Eastern clad antiques that will make your mind travel back in time. Everything in a perfect blend, which makes it a staggering, beautiful and original artwork. You can find it on 99/9 Moo 1, Bang Muang Mai, Samut Prakan 10270, Bangkok. Want to live a C.S.I Bangkok experience? Then you need to visit the Pathology Medicine Museum and bring to life your inner Horatio Caine. However, here you are going to explore the “crimes” committed by Mother Nature, because you will explore one of the most fascinating yet scary exhibition of ancient pathological remains. This attraction is not for the light-hearted, because here you will see things like genetically impaired babies contained in chambers, a large collection of parasites, embalmed bodies and more. There is no criminal to find here, because we already know who the guilty is, but here you will get the chance to see how cruel and devastating disease can be. You can find it on 2 Prannok Road, Bangkok Noi, Bangkok. Once again, if you are especially sensitive, then this might not be the best attraction for you. If you are looking for the ultimate culinary experience, then you need to go on the Bangkok Street Food Tour. 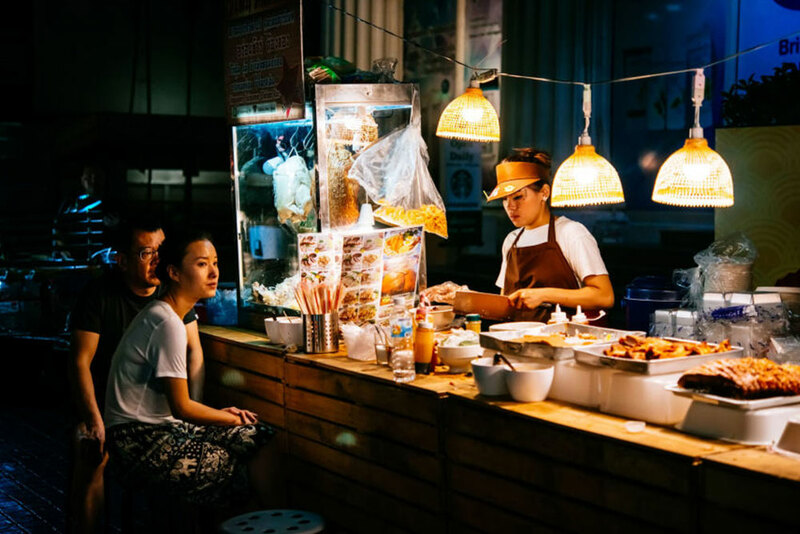 Street eateries in BKK are legendary for their delicious food and cheap prices, but if you want to visit the best spots in the city, then you need to join this tour. You can join it by contacting Bangkok Tasty Treats Tour. It is the best way to explore the different street restaurants in BKK, in case you are new or afraid to do it on your own. You can always venture yourself into it alone, but if you want someone to guide you from beginning to end, then you should join this tour. Be ready to eat a lot, because your taste buds will explode of joy! If you are looking for a unique, original and special cultural experience, then you need to visit the Artists House. It is traditionally known as Baan Silapin, and it is important, because it is a stronghold of Thai traditions. Here you will find amazing and unique exhibitions that will show you one of the most beautiful and rich aspects of Thai culture. Not many visit the Baan Silapin during their visit, because it is a real hidden gem, but you can be the exception and add this amazing attraction to your list! You can visit it on 313 Phetkasem 34, Khuha Sawan, Phasi Charoen, Bangkok. Bangkok has also a very modern side, and you can see it in its staggering buildings and its amazing Museum of Contemporary Art (MOCA). 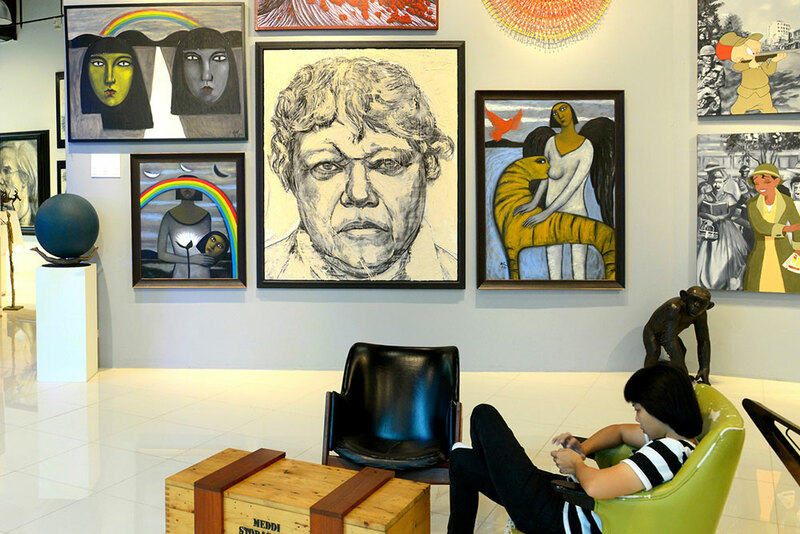 If you love art, then you are going to love this place as well, because it is an exquisite collection of modern sculpture and painting, because the art and creative side of Thailand is quite active as well. The five storeys of the museum will show you over 800 pieces of art by the most talented artists of the country. Therefore, if you are looking for local talent, then this is the place to find it. You can visit the museum from Tuesday to Sunday (10:00 to 18:00) and the costs is solely 180 baht per person and children can enter for free. You can find it on 3 Vibhavadi Rangsit, Chatuchak, Bangkok. If you want to explore the most mystical and esoteric aspect of this city, then you need to visit the Amulet Market. Here you will find the largest collection of ancient amulets and exotic talismans that will protect you from evil forces and any threat that menaces your peace, furthermore, you can also use them to bring good fortune to your life. You will find hundreds over hundreds of vendors offering an outstanding and rich variety of amulets targeting different aspects of life such as health, luck, fortune, etc. You can also buy traditional remedies if you wish. They are emblematic of Bangkok and are made with unique blends of natural herbs and local ingredients. Want to visit? Then come to Trok Sanamphra, Phra Borom Maha Ratchawang, Phra Nakhon, Bangkok. If you are looking for an authentic Thai tea time, then you need to come to the Double Dog Tea Room. This is another hidden gem that not many visit, but now you have the chance to do so! 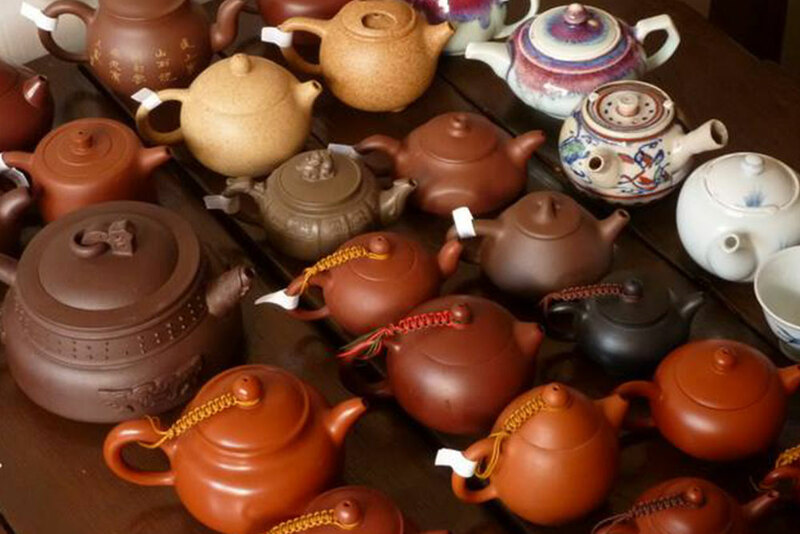 Here you will explore a huge and rich variety of teas, ranging from the most common to the most exotic. If you are a proclaimed tea lover, then this is the place for you. The ambient of the tea room is very special, unique and very Thai, so you will feel an original and different experience. A real paradise of relaxation in the always busy and moving Bangkok. You can visit it on 406 Yaowarat Rd, Chakkrawat, Samphanthawong, Bangkok 10100. They are popular in Japan, but you can also find an authentic Thai cat café in Bangkok! The entire place is filled with glamorous, beautiful and playful cats. If you want to have an authentic feline experience in Bangkok, then this is the perfect place to be for you. You can find it off the main Phayathai Road, it is very close to the Ratchathewi BTS station. Finally, if you are looking for adrenaline and refreshing fun, then there is no better place for you than the Fantasia Lagoon Waterpark! The entrance fee is only 100 Baht, a real steal for all the fun you will have inside. It is insane that most tourists don’t know about it, and therefore, it is mostly visited by locals, but now you have the chance to experience the same fun. 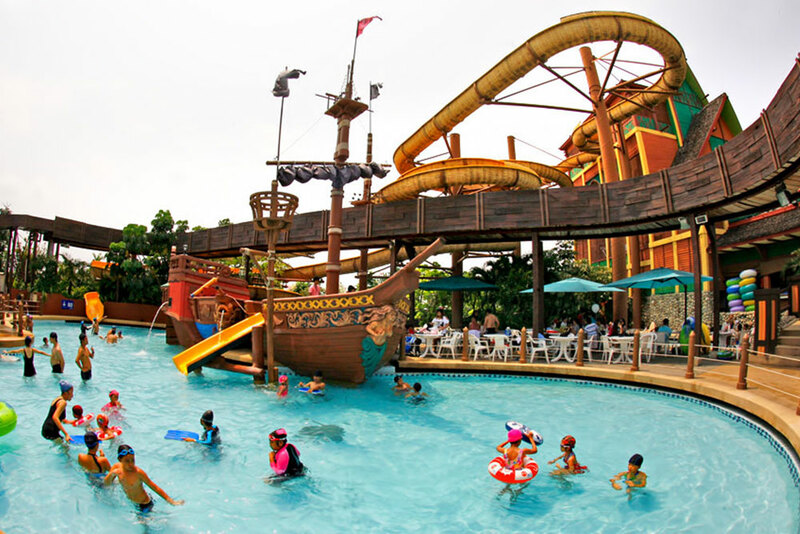 It is perfect for kids and adults, because the attractions that range from intense sliders and huge pools will make your day a real hit! It has been renovated and you will find a plethora of different attractions to have a lot of fun! You can find it on 275 Moo 1, Petchkasem Rd. Phasicharoen Bangkok 10600. Now that you know of these 10 hidden gems in Bangkok… what are you waiting for? It is time to visit them and have lots of fun! And of course, don’t forget to pay us a visit, so you can enjoy of the best live music and enjoy a delicious beer or cocktail with your tasty meal! Bangkok Night Tours: 3 Tours You Cannot Miss During Your Stay! © 2018 APOTEKA // DESIGN BY SEO HEROES BANGKOK // ALL RIGHTS RESERVED. We’d love to hear from you about your experience with us and if you have any feedback or suggestions. At Apoteka, we take customers’ feedback/suggestions very seriously as we strive to improve and enhance the experience we provide to our guests. Or, you can just drop in to say Hi. We would love to stay connected with you. Cheers!  Thank you very much, if you enjoyed your meal we'd really appreciate if you could leave a review on Tripadvisor. Also if there's anything you weren't totally satisfied with, let us know, your feedback helps us a lot.